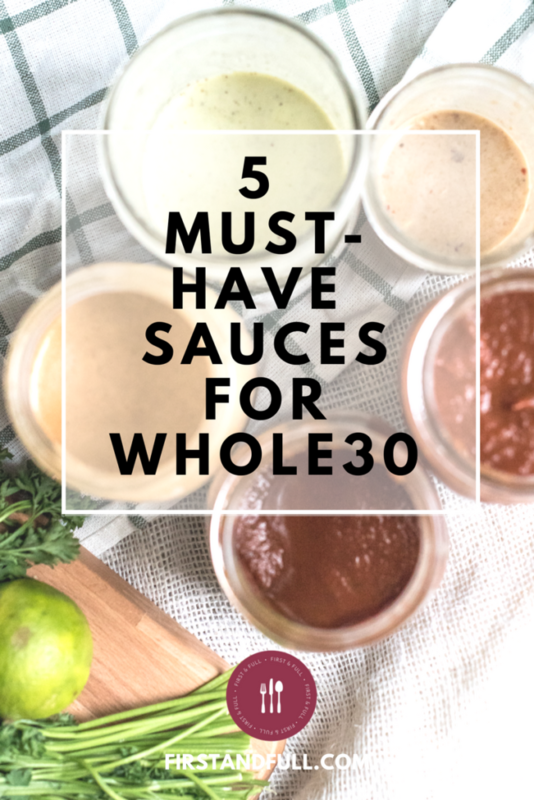 YES, these sauces are all Whole30 Approved. NO, you won’t be able to tell. 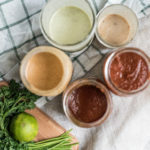 These 5 Whole30 sauces and salad dressings are full of flavor and are really easy to make. I made them all in about 30 minutes and can store them in my fridge for a couple of weeks. They are ideal for roasted veggies, raw veggies, lettuce wraps, salads, and big bowls of leftovers. 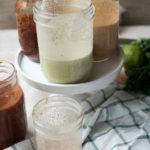 The fastest way to transform your leftovers, is with a fresh and exciting sauce drizzled over the top! 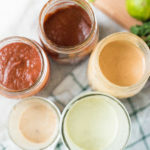 Most people sing the praises of Whole30 Approved mayo but I’d much rather use one of these 5 sauces to spice up a dish. 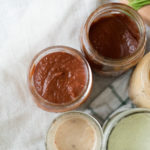 Delicious, smoky, BBQ sauce perfect for any protein! Whole30 approved ketchup with a full-bodied flavor and a hint of sweetness. Add all the ingredients (including the water soaking the dates) to a small sauce pot. Let simmer for 5-10 minutes; the sauce should begin to thicken. Transfer all the ingredients to a blender. 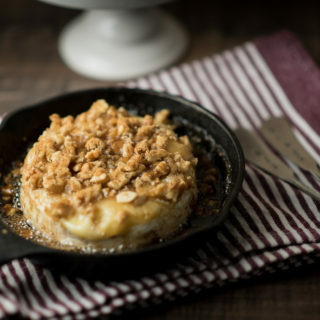 Carefully blend the hot mixture till smooth. Taste and adjust salt + pepper as needed. 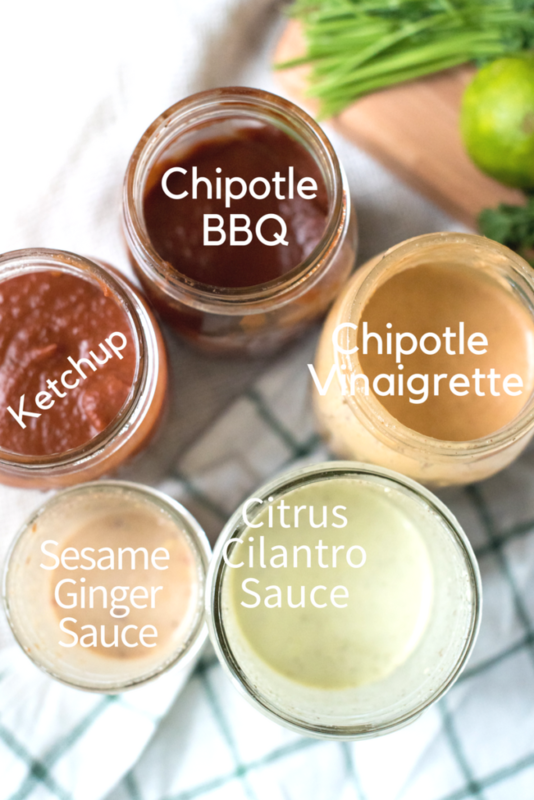 Delicious Whole30 take on the Chipotle Grill’s popular salad dressing! 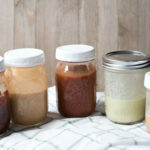 Add all the ingredients to your blender or food processor and whiz till smooth. This bright and tangy vinaigrette would be great as a marinade for chicken or shrimp or drizzled over a salad. Add everything to the blender and pulse till smooth and incorporated! 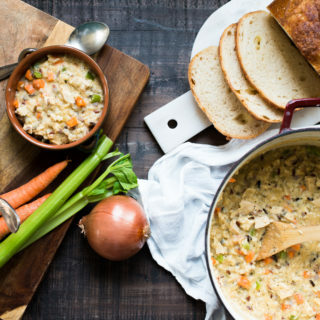 This light but flavorful sauce would be perfect on just about anything. Looking to liven up some lettuce wraps? Try this! Blend everything in your blender or food processor. 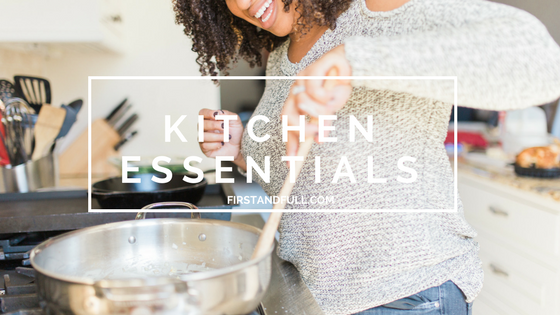 Want to see my favorite kitchen tools?